New Welcome Package at Redbet! These days it is hard to find a welcome offer which is fair and profitable for players. But sometimes we can pronounce such a news, like today. The Redbet Casino just changed its starting offer for new costumers and now they get free spins as well as deposit bonuses for their registration. Not less than 250 free spins and appropriate bonuses! All new players get the free spins in three steps after a necessary deposit. You probably ask now why is this offer fair? 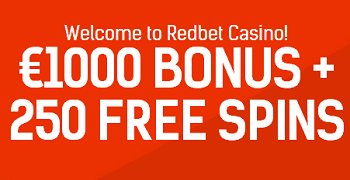 Because you only have pay in 20 € on your Redbet account and receives 100 free spins! With the second and third deposit works in the same way. All free spins will be played on this fantastic NetEntertainment slots: Twin Spin, Starburst and Gonzo’s Quest. For all three deposits players receives in addition to the free spins the following bonuses: for the first a 100% bonus up to 100 €, the second a 50% bonus up to 400 € and the third a 25% bonus up to 500 €. 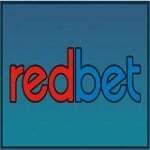 Pick the appropriate bonus codes from the Redbet banner below. After your deposits you have to play the received free spins within one week. Free spin winnings and deposit bonuses must be turned over 40 times. 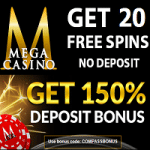 Mega Casino offers 160 Free Spins in one week! Maybe you are looking for free spins or a profitable deposit bonus now, then is this the place where you are supposed to be! In the Mega Casino you can receive now easily both. Just for the free registration you get 20 free spins, no deposit is required! You play the free spins on the “Wizards of Oz” slot, one of the Williams Interactive video slots. 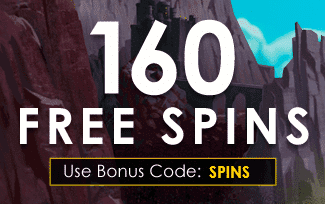 But you shouldn’t stop now, another unbelievable 140 free spins are available! Just for a single deposit you receive 140 free spins within one week after your registration at the Mega Casino. Use for the deposit the bonus code SPINS. Every day after the payment and starting on the following Monday, you get each 20 free spins until Sunday. And you shouldn’t miss no single day: For playing the complete free spins you get another surprise by contacting the support center. By using the bonus code COMPASSBONUS you get an extra deposit bonus of 150% up to 600 €! Alternatively you can use a 100% bonus up to 1.000 €. Both bonuses are in addition to the free spins offer at the Mega Casino. Don’t hesitate any longer, the free spins offer is limited and anyway a great opportunity to test the casino and the Williams Interactive slots.